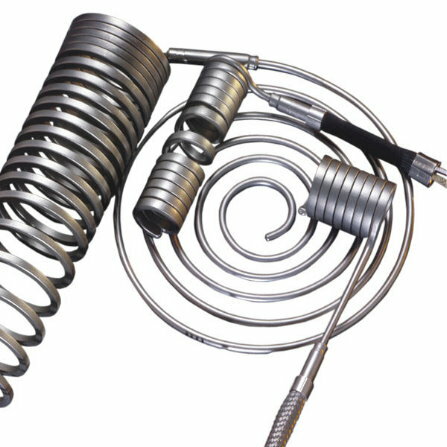 Cable and Coil Heaters are formed to flat or curved surfaces. The versatile coil/cable heater can be formed into a variety of shapes. Small diameter, high performing cable heaters are fully annealed and readily bent to a multitude of configurations. The pre-coiled, cable nozzle heater has been formed into a compact, tightly wound coil to supply 360 degrees of heat.